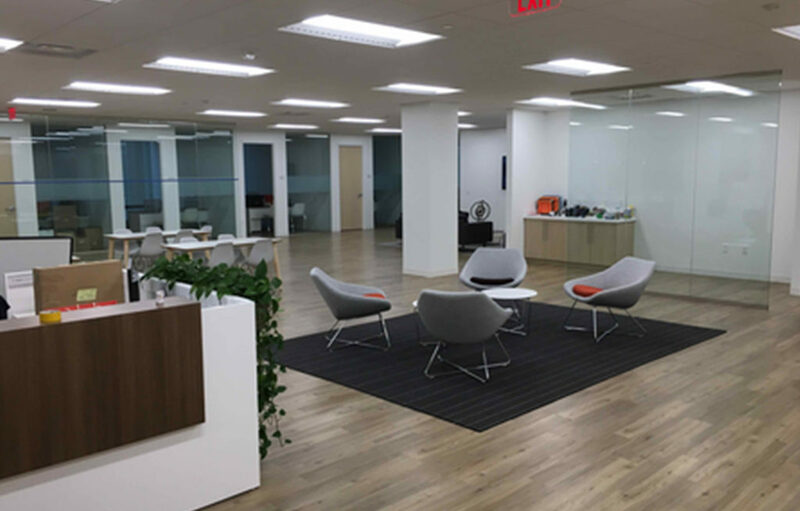 This total interior renovation included a complete floor renovation within the Evergreen Shipping building in the hub of the Jersey City waterfront. 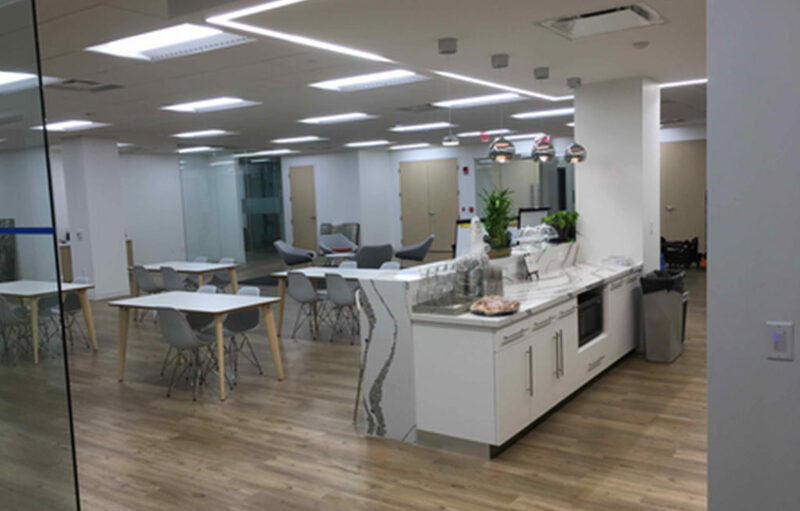 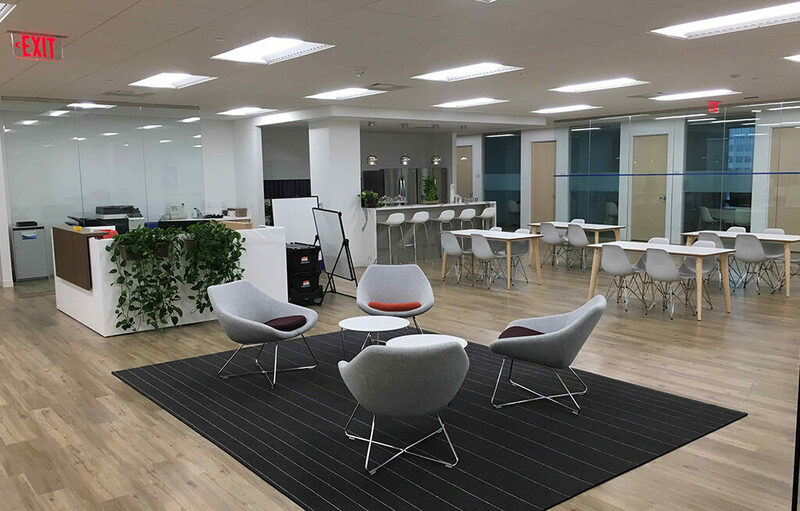 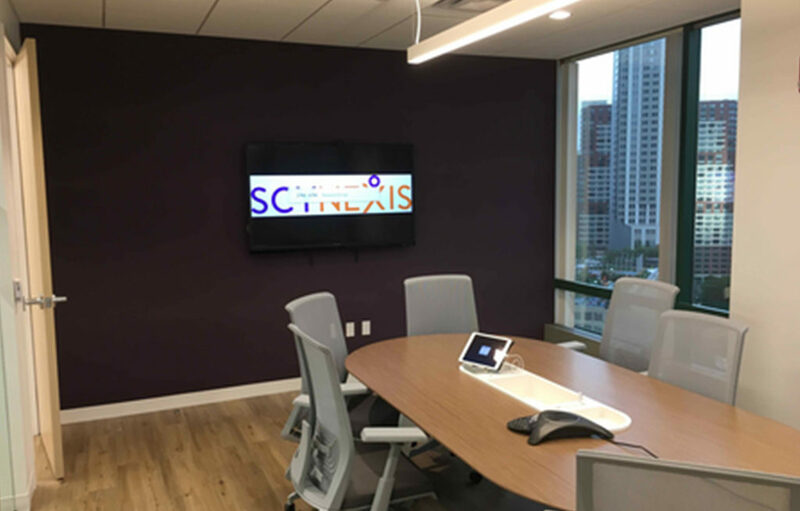 The project consisted of a new HVAC system, BMS monitoring, LED light fixtures, glass office fronts with wood grain doors, LVT flooring installed throughout and collaborative open area pantry/lounge area. 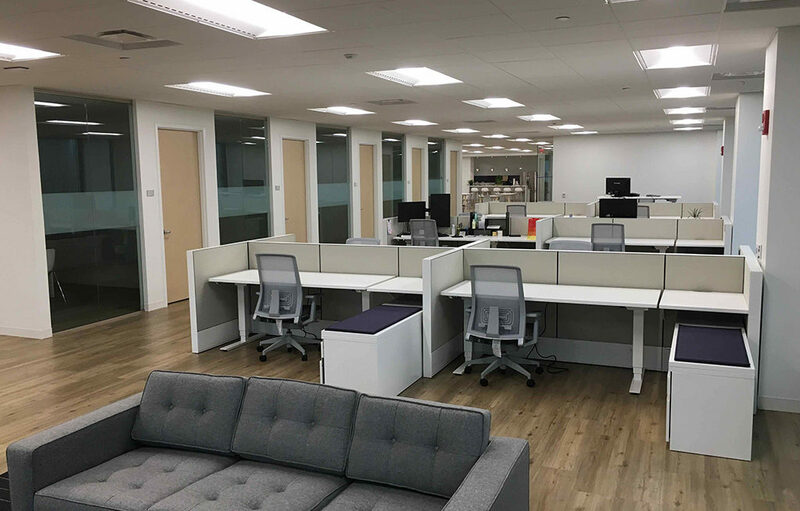 All new systems furniture with sit-to-stand desks were the feature of the open office area. 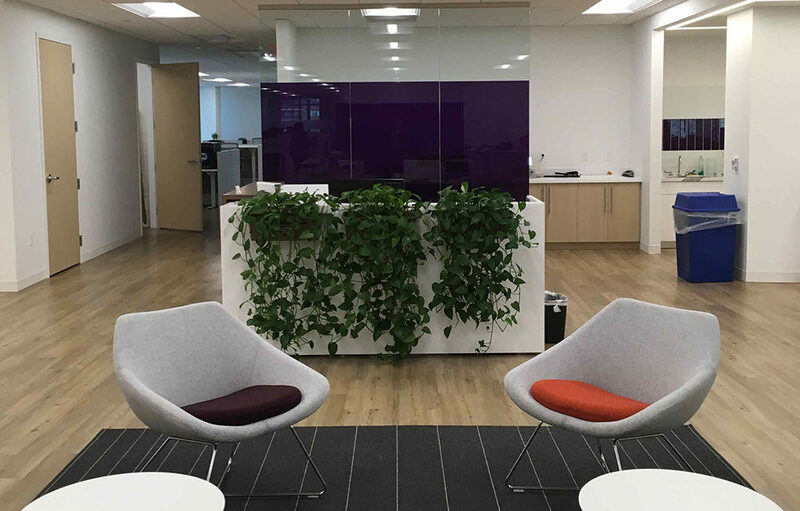 The project was completed in 12 weeks.